In certain circumstances, due to a lack of threshold, Floodguards skilled installers may need to fit a "channel" to help with the fitting of the floodguard. Channels usually come in predetermined sizes and allow the required amount of clearance under a floodguard in order for the guard to provide adequate protection. In areas of high traffic or if a channel is being fitted to high strength ground straits then the Re-enforced channel will be specified. 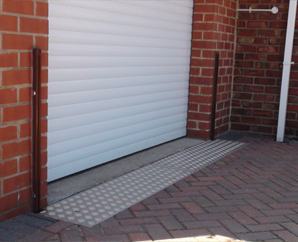 For low to medium traffic entrances, such as residential doorways then the standard channel will be specified. 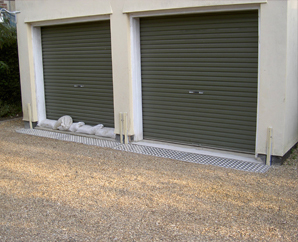 If a bespoke guard has been specified then Floodguards have the ability to manufacture bespoke channels, should the installation clearance require it. With both variants of the channel the Floodguards installation team goes to great length to make sure the installation is flush and maintains a good aesthetic and that the finish meets the client’s requirements, even to the point of custom making channel covers out of different materials to the standard lid.